You are more than welcome! I hope you enjoy the pattern. this is an adorable hat. I would like to make this for my charity knitting group at church. You are more than welcome! I hope you enjoy the pattern. Please do! I would like to make this in a toddler size, suggestions??? Sorry I would have to design the pattern and I'm not well with my CFS at the moment and I have a few projects on the go. 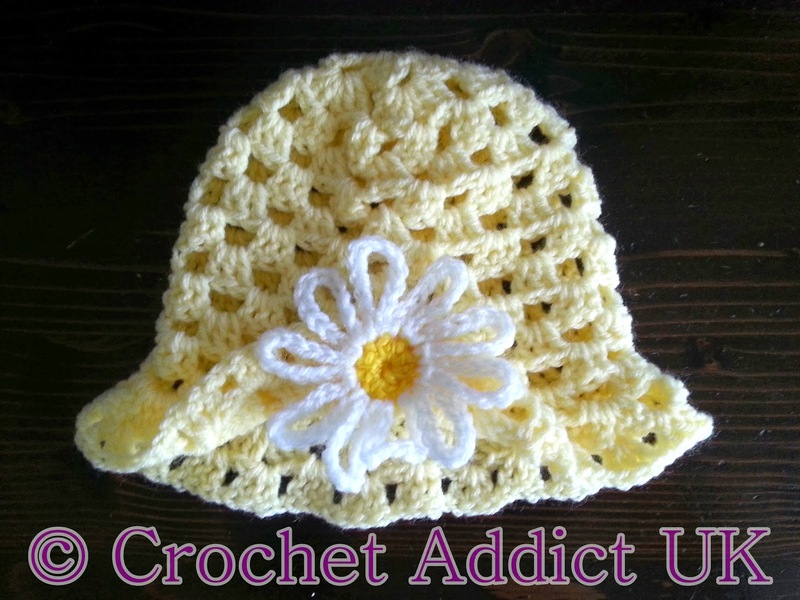 There is a similar pattern: http://www.ravelry.com/patterns/library/crochet-granny-stitch-sun-hat - you could just fold the brim up with the flower as above. Hope this helps. Sorry I can't email you back you are a no reply blogger. 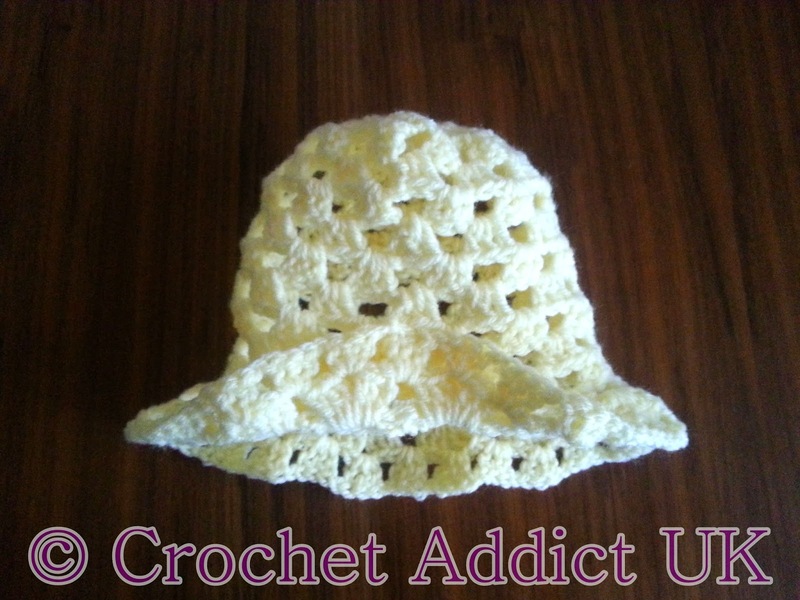 The guidelines say "At the end of each round just carry on, do not join with a slip stitch. Sorry I have a standard pattern sheet I forgot to change it. Join and turn as per instructions on the pattern itself. So when I turn at the beginning of each round I am crocheting on the wrong side every other row? I could use some help with the daisy. 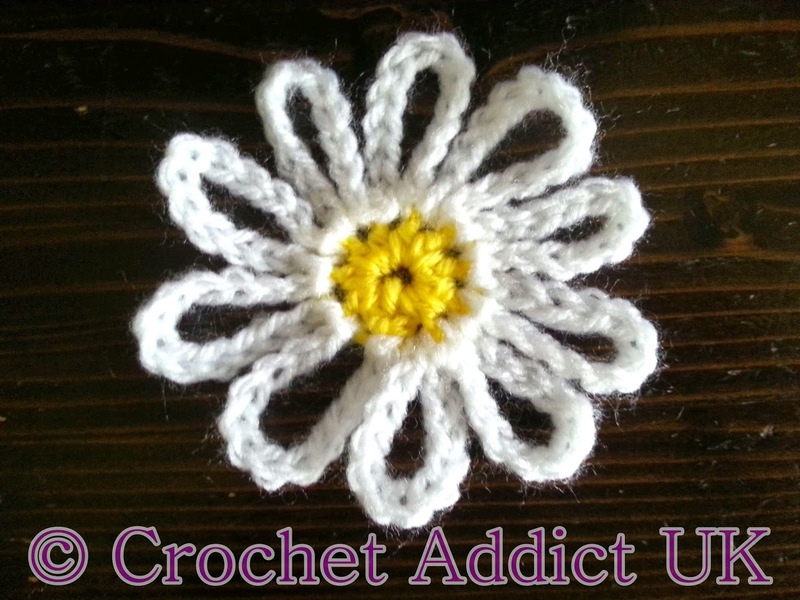 Will my completed daisy have just 5 petals or am I reading the pattern wrong. Thank you! Oh and...why chain 14 on the first petal, but 12 on the following 4...thanks again! Sorry about the mistakes. I have made the changes. Absolutely gorgeous and perfect! My land lord has three little girls and this would a wonderful surprise! They are so nice much better than the previous landlords.